By default, the Flex theme has a full width layout (visually, as the background color is white). However, if you select any background color or a background image – theme layout will switch automatically to a boxed layout. 2. Click to expand the Colors option. 3. Then select any color of your choice. 4. Click the Save & Publish button. Theme will display your selected background color. 2. Click to expand the Background Image option. 3. Click Select Image button and then select an image from already uploaded images or you can upload a new image. 4. After selecting an image, click Choose Image button at the bottom right. 5. 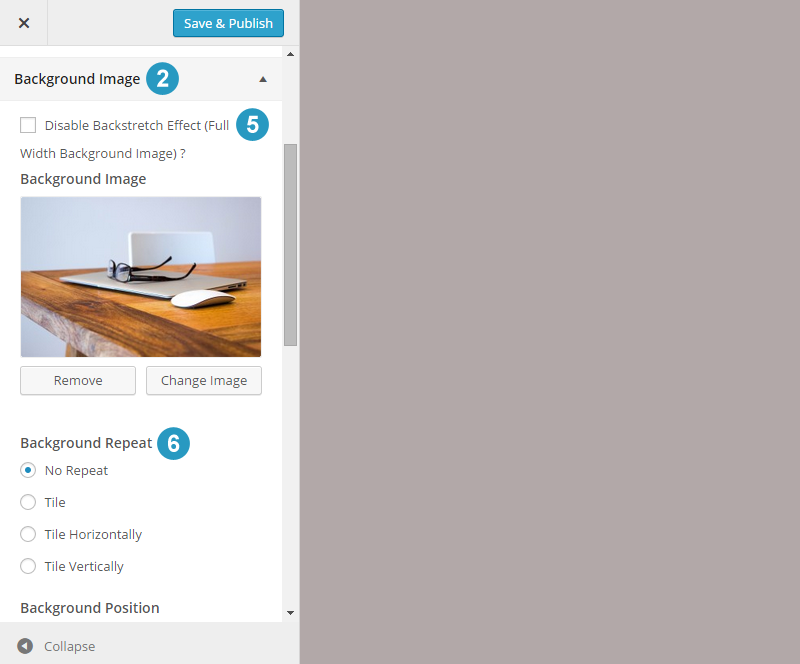 To span the selected background image full width automatically via backstretch functionality, click to uncheck (no tick) at the disable the backstretch effect option. 6. You can also use other background image alignment options. These include: background repeat, no repeat, tile, tile horizontally, tile vertically. Also, background position settings like: left, center, right or set background image to be fixed or scroll. 7. 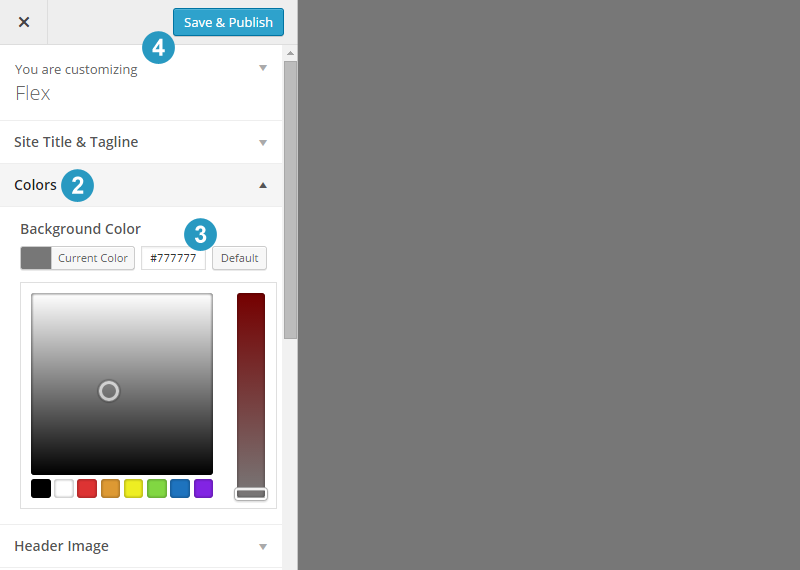 Click the Save & Publish button and the theme will start display your selected background image.